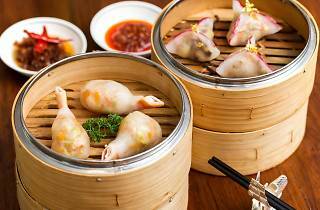 The art deco style of this Peninsula restaurant gives it a super-classy atmosphere and complements the top quality dim sum on the menu, like the steamed shrimp dumplings with bamboo shoots. 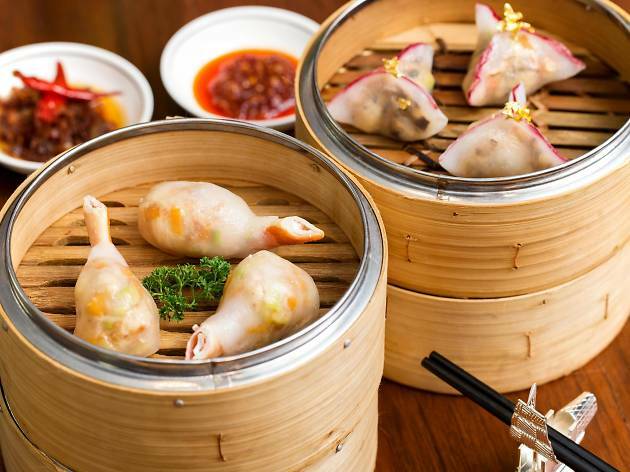 Also enjoy authentic Cantonese dishes such as the pan-fried garoupa fillet and the superior bird’s nest and shredded bean curd soup. Pair your meal with premium Chinese teas prepared by the expert tea master. There’s nothing quite like Spring Moon when it comes to grandeur and taste.